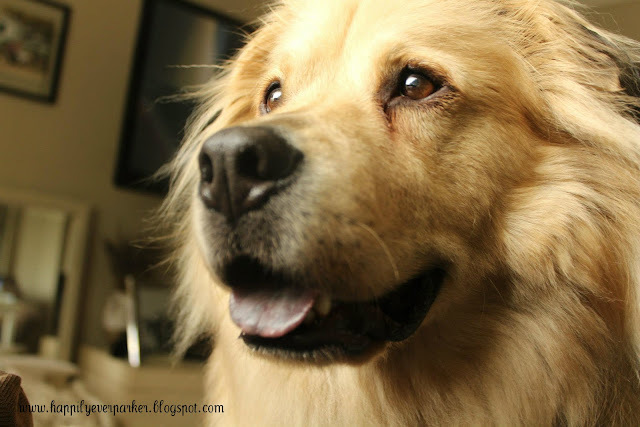 If you're coming over to read my blog, one thing you should know right away is that I am obsessed super in love with my dog, Finnley. He brings me joy in a way that is hard to describe and a love that is unconditional. 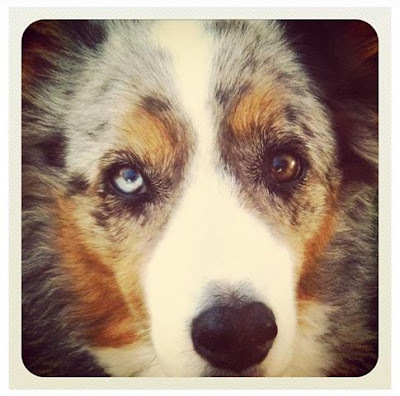 I grew up with a purebred Australian Shepherd named Shelby. She was perfect. She herded me as a child, ate my scrunchies (yes, I am an 80's baby!) and her hair was everywhere. But boy, oh boy, did we love her. When my sister moved from the Bay Area to Orange County she took Shelby with her. It was hard to not have her at home but I was away at college in San Diego so I could see her anytime I wanted. She lived 15 long years and had a wonderful life. I knew around the time that she was getting older that I wanted to get a dog to make Shelby's eventual crossing into Rainbow Bridge a little easier to take. So David began to search PetFinder for our perfect match. So we looked for a bit, not very seriously and then we saw him. His name was Teddy B. and he was in Stockton, CA - about an hour and a half from the Bay Area. 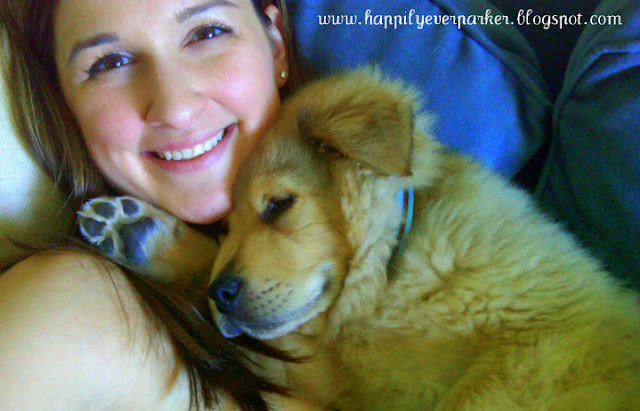 Part Aussie part Chow Chow and he was 3 months old waiting for his forever home. Which we hoped was our home. David filled out the application and we waited to hear back. Not long after, we found out he was scheduled to be adopted by another family. I was devastated. Our search was placed on hold so I could get over the "loss" of Teddy B. And then on April Fools I got a call from David telling me that Teddy was ours if we wanted him. I told him not to play such an evil April Fools joke on me, I wasn't in the mood. Turns out he wasn't joking, the other family had passed him up because of his coat (double coat) and because he was Chow Chow. David was out of town the weekend I was to go see him. So my friend, Kerri, and I packed up my car at 7am and began the drive so we could be there as soon as the shelter opened. I waited outside of the gate like a nervous parent. The whole time thinking "What am I doing?!" We were led over to his cage and even though all the other dogs were barking he remained calm. He sauntered over to the chain link fencing and put his paw against my hand. Our fate was sealed. I didn't even interact with him or hold him. I just knew that we were meant to be. And 3.5 years later he is still the best decision we have ever made. I cannot put a price on the joy he has brought to our lives. This weekend, June 1-2, your dog and cat adoption fees will be paid by Maddie's Fund at hundreds of locations across the U.S., as part of the country's largest FREE pet adoption event! There are more than 200 shelters and 8 rescue groups from around the nation participating. 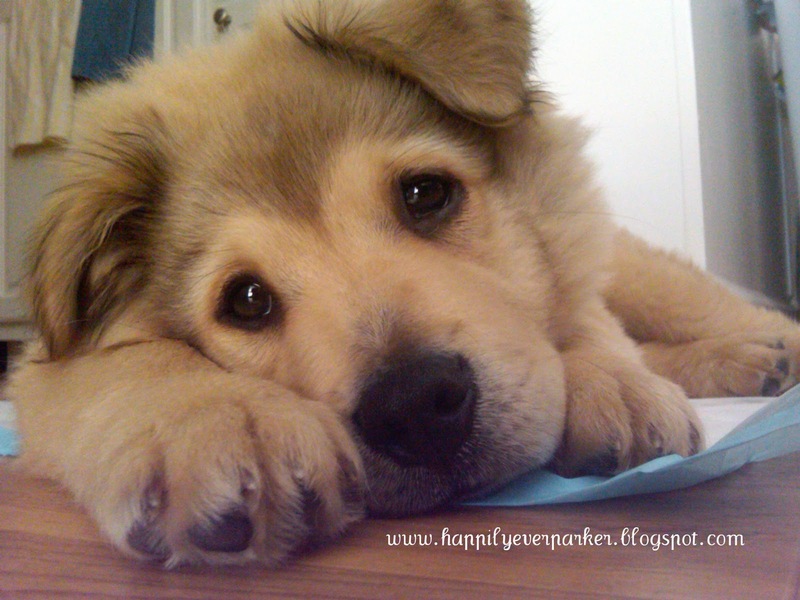 Click below for a link of participating shelters and rescue organizations. We rescued Teddy B. and we renamed him Finnley - which means "light haired courageous one" because he deserved another chance. 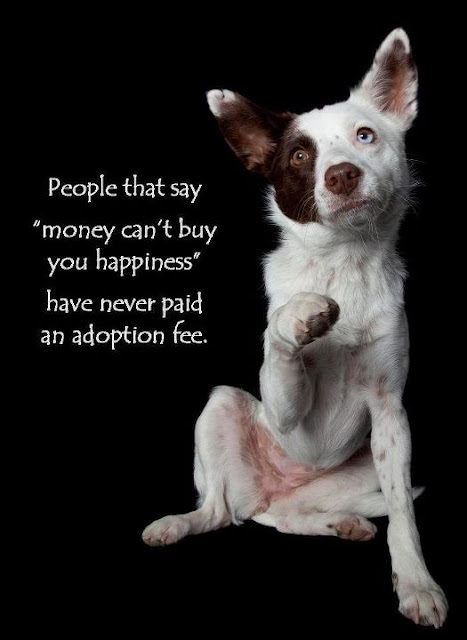 If you're looking to add to your family please consider pet adoption, your rescue may just end up rescuing you. Just love learning more about Finn! He's the sweetest! What an amazing story :)) Hits close to home because my bf and I just adopted our first puppy (Deedee) almost a month ago and I could not love her more!! Thanks for your sweet comment on my blog! Your Finnley is SO cute. That baby face is just perfection. He can't get any cuter! That's great that you adopted too. So many people buy and I still don't know why when there are so many in shelters!